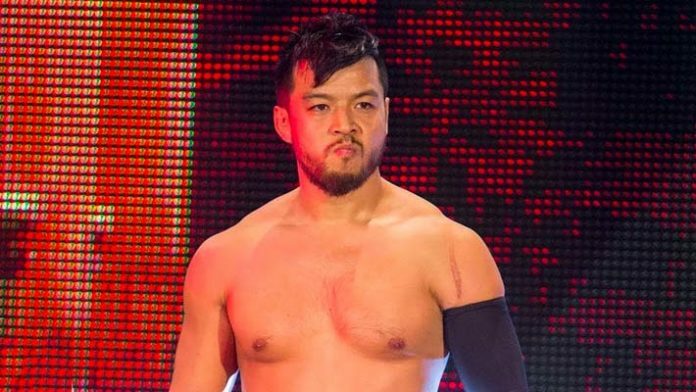 Hideo Itami signed with WWE in 2014 and is reported to have finished up with the company last night. Add Hideo Itami’s name to the list of Superstars who will be leaving WWE shortly. According to a report from Fightful, Itami asked for and was granted his release from the company. He finished up with WWE last night. Itami, like many other Superstars asking for their releases lately, was unsatisfied creatively. He will likely have to sit-out a 90-day no-compete clause before being able to wrestle for another promotion. If this is the case, he would be free in May. Itami, who recently changed his Twitter handle to his old in-ring name, KENTA, posted the following to his social media channels on Tuesday night. KENTA wrestled with ROH from 2005 to 2009. Itami spent 2000-2014 building up his name in Pro Wrestling NOAH before signing with WWE in 2014. Renamed Hideo Itami, he was sent to NXT but only achieved modest success there. Injuries hampered his momentum in NXT before he finally debuted on the main roster for the 205 Live brand in 2017.